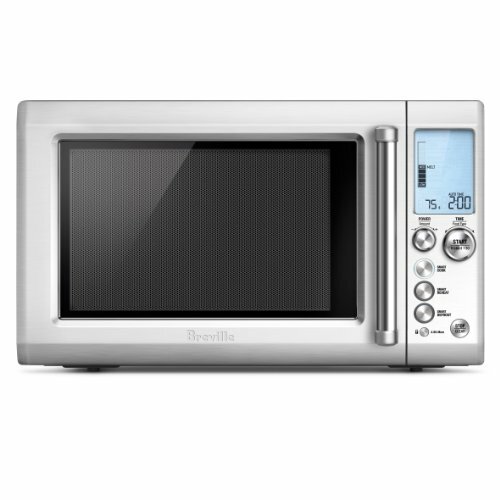 The Breville BMO734XL Quick Touch is the easy to use microwave that knows the power level and time to suit the food you’re cooking. Adjust power and time on the fly! 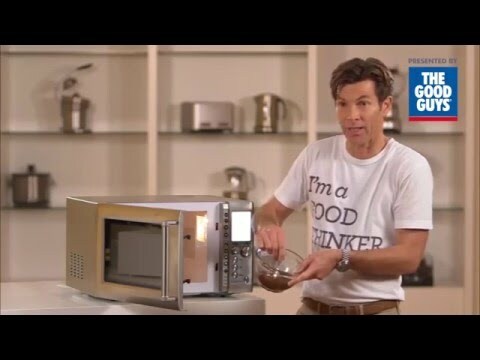 Smart settings take the guess work out of cooking, reheating and defrosting foods. Brushed stainless steel door hides easy to use shortcut menu and includes a self-locating turntable. Innovations include; Sensor IQ which detects humidity and calculates time accordingly; My Favorite which allows you to program your favorite setting; Time Defrost which automatically sets defrosting power level once time is input; and of course our A Bit More button, when a little extra time is needed. One-Touch Auto Buttons are pre-programmed shortcuts for commonly used tasks. Includes a kitchen timer along with clock display and unit weight conversion.